Here at BMW St. John’s we have dedicated ourselves to providing discerning customers across Newfoundland and Labrador with the very best sedans, coupes, hatchbacks, SUVs, and wagons that BMW and MINI can offer. Vehicles like 3 Series, X1, X3, X5, and 4 Series and many others are available here at our full-service dealership, along with service, parts, financing, and much more. Regardless of whether you’re considering purchasing a brand-new or pre-owned BMW or MINI, or are looking to maintain or accessorize the one you already have, then visit BMW St. John’s today – we have everything you want right here. 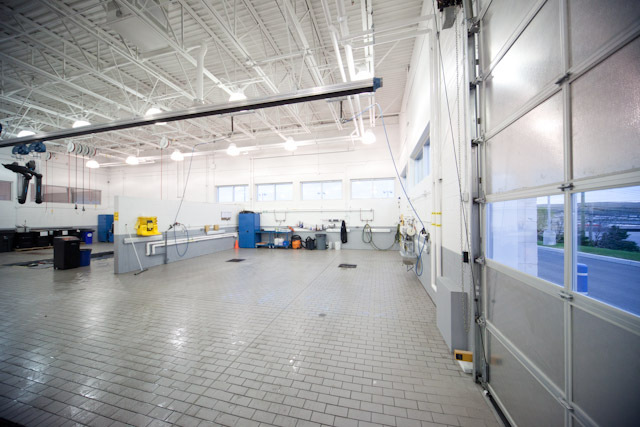 Arguably the cleanest service bay in the city, technicians at BMW St. John’s take pride in their work area. You can come see for yourself any time or watch your vehicle’s service start to finish by looking through the glass wall in our service reception area. 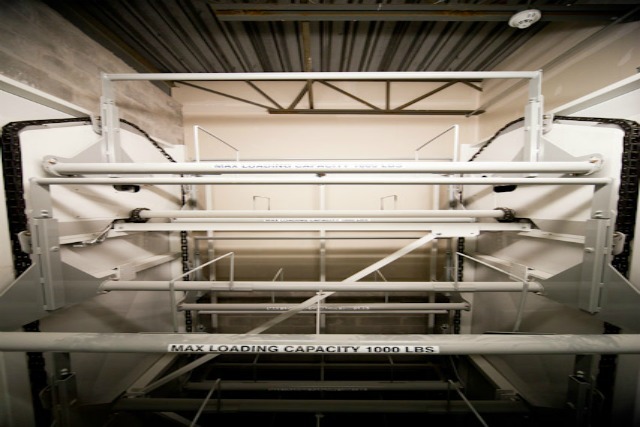 Our parts/service department also offers year-round storage and care for your tires. Tires and rims are treated with the utmost care, meticulously washed and securely stored. Spaces can be booked per season. Please contact BMW St. John’s service at 754-3269 or service@bmwstjohns.ca for more information. Overlooking the BMW St. John’s showroom, this is where our team gathers for training, meetings, and presentations. Welcome to our beautiful building, located at 120 Kenmount Road. 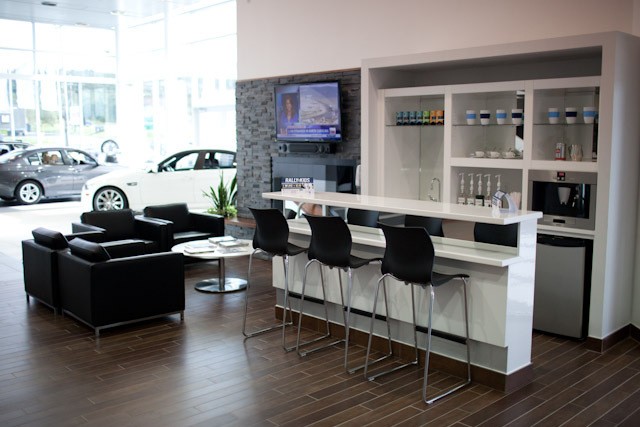 Whether you are visiting BMW St. John’s for sales or service, you can relax in our customer lounge, with flat screen television, cozy fireplace, and a selection of reading materials. You will be offered a coffee, espresso, latte, tea, or italian soda – made to order. The BMW St. John’s team of expert detailers are always on hand to make your BMW shine. With meticulous attention to detail, they can accommodate two vehicles in their state-of-the-art wash bay at any one time. 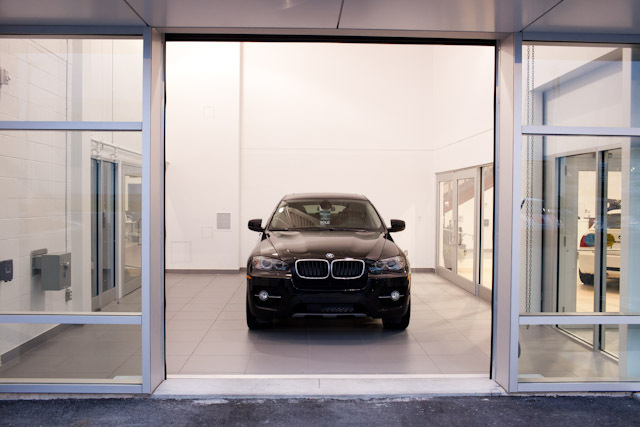 Take a look at our BMW Spa Packages for more details on what the wash bay can accomplish. Our sales and leasing consultants are experts in all things BMW and, when you purchase or lease a vehicle from BMW St. John’s, they can show you all of the wonderful features it has to offer in our Delivery Bay. 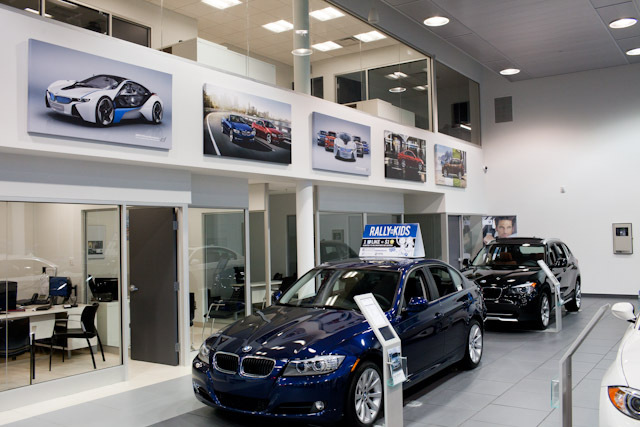 The BMW St. John’s sales team have offices that look onto the showroom floor. This way, our consultants are always available to discuss your future vehicle with you, within view of many BMW options and examples. 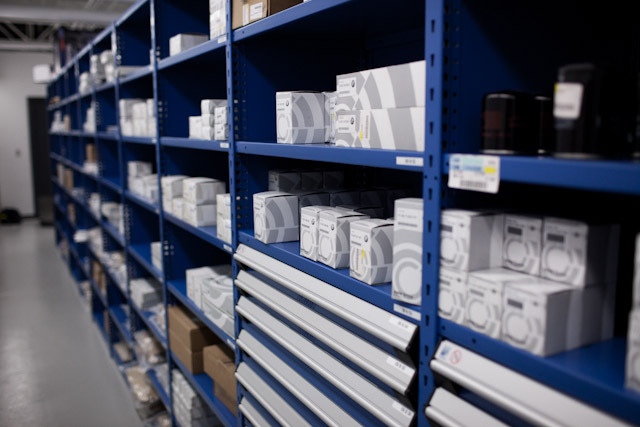 Genuine BMW parts and accessories are stored in our perfectly neat parts department, ready for all of your service needs. 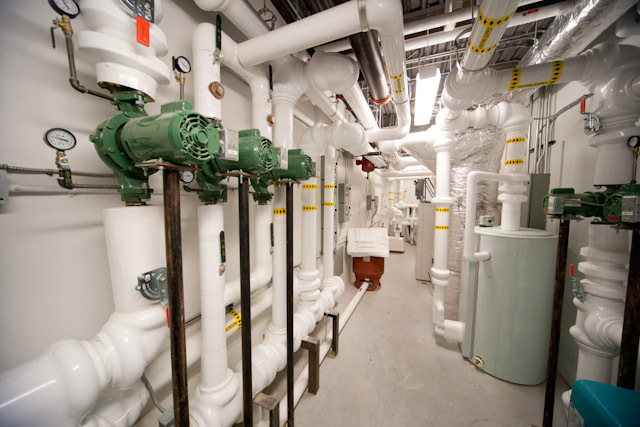 Akin to the BMW idea of EfficientDynamics, the BMW St. John’s building is heated using an ultramodern geothermal system. We are proud to use this eco-friendly method to heat our building with energy stored many meters below the earth’s surface. 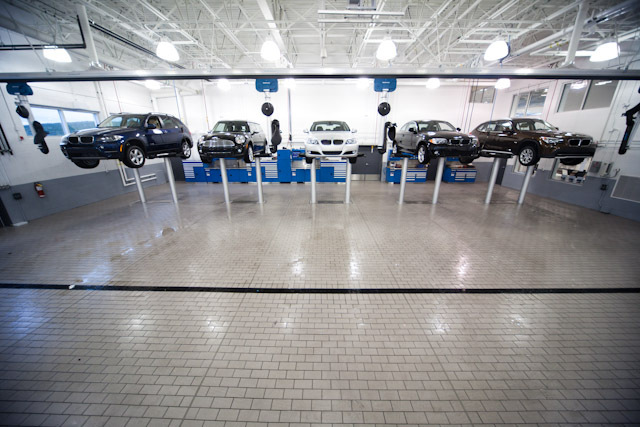 This is where our BMW certified technicians work diligently to make sure your BMW operates the way it was designed to. 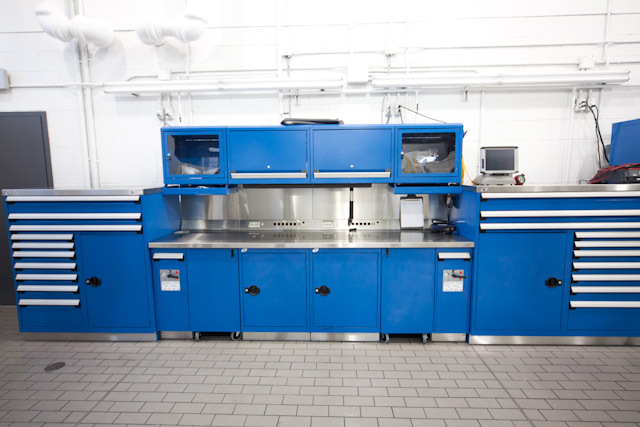 Our service bay is outfitted with all the latest in BMW technician’s tools to ensure the very best service for you and your BMW. 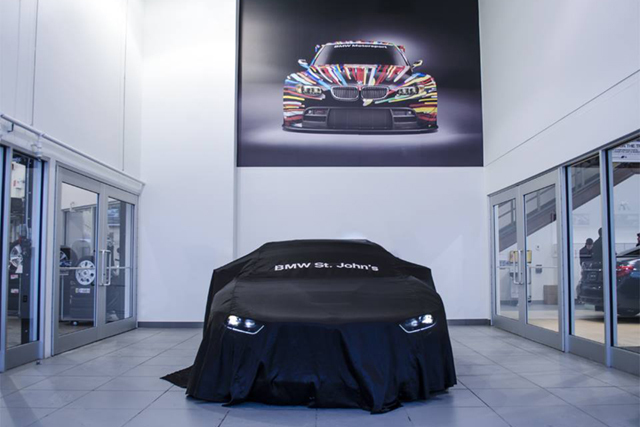 We believe that the delivery of your BMW should be a truly exciting event. 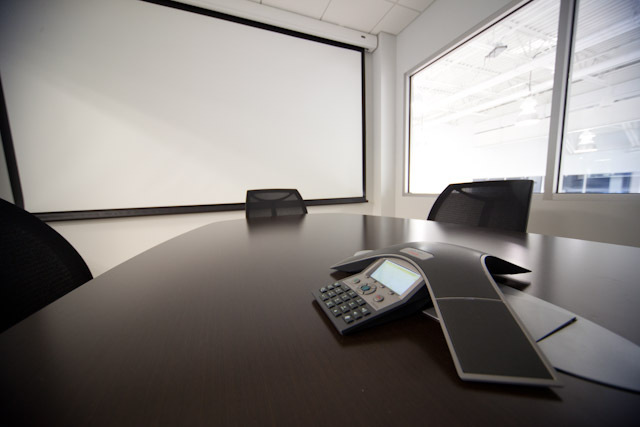 Delivery appointments include the unveiling of your new vehicle, hands-on instruction for all of its many features from your sales/leasing consultant, and a meeting with our managers to ensure you have the ultimate BMW experience.